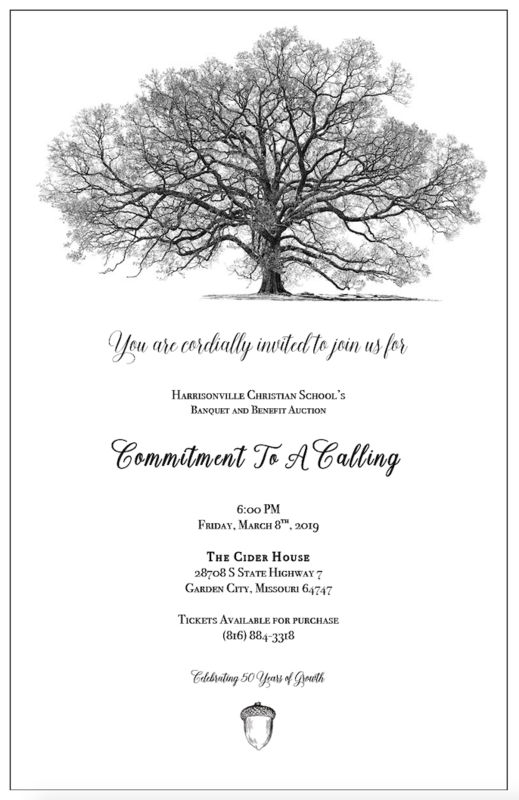 "A Commitment to a Calling"
Come join us as we celebrate 50 years of Christian education at Harrisonville Christian School. Traditional wedge salad with Hickory smoked bacon, diced Roma tomatoes, red onions, sliced scallions, topped with buttermilk ranch dressing & cheddar cheese. Surf & Turf, shrimp scampi paired with beef filet, accompanied by a classic bearnaise sauce; loaded mashed potatoes & a bouquetiere of vegetables.